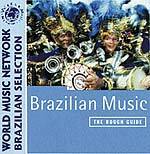 CD review: "Brazil Now," "The Rough Guide to the Music of Brazil," "BRAzSIL," "Power Samba Band," "Pixinguinha," "Quanta Live," "Vento de Maio/May Wind," "Brasil Nativo," "Brazilian Days" and "Amazon Moon: The Music of Mike Stoller"
This review first appeared in the October 24, 1998 edition of the American Reporter. Thirty-five years ago bossa nova came to these shores via "The Girl From Ipanema," courtesy of Stan Getz and Astrud Gilberto. It's a fascination that we've never really given up, with artists such as Antonio Carlos Jobim and Milton Nascimento having loyal stateside followings, and Paul Simon playing with Brazilian musicians on "Rhythm of the Saints" after his South African "Graceland" project. More recently, West Coast jazz singer Kevyn Lettau has mixed a huge dollop of Brazilian samba and bossa nova into her music. Brazil offers a musical palette nearly rich as that of the United States: There is the familiar bossa nova, of course, and samba, tropicalismo, forro, choro and (sadly) even lambada (although the insufferable hit song came from Bolivia, not Brazil). Most of the music - even the slow, jazzlike instrumental styles - is anchored by an incessant swinging rhythm; in America, only the Mardi Gras street bands of New Orleans are comparable. A recent spate of Brazilian recordings offers American listeners a wonderful opportunity to hear examples of most of the above and get a small feel for what's going on in one of the richest musical communities on Earth. Those new to Brazilian music may want to start with one of a pair of solid compilations: Blue Note's "Brazil Now" or "The Rough Guide to the Music of Brazil," a musical companion to the lively travel reference, "Brazil: The Rough Guide." One of the best features of these two releases is that they don't overlap each other. Obviously, no single disc could possibly capture the flavor of a nation as musically fecund as Brazil (but you could try the four-disc "Brazil: A Century of Song" from Blue Jackel). Still, both the Rough Guide and "Brazil Now" sets do a nice job of covering a ton of ground and feature some of Brazil's best known artists. "Brazil Now" features some names familiar to American ears: pop soulsters Milton Nascimento and Djavan, rising jazz star Eliane Elias. Also scattered among the 16 tracks here are folks you'll want to know more about: Tony Mola's rollicking Carnaval band Bragada, the late diva of Brazilian music Elis Regina, and the funky dance grooves of Carlinhos Brown. The Rough Guide collection has fewer familiar names (at least to anyone who's not already heavy into the Brazil scene), but just as wide a selection of styles and regions in its 19 songs. If there's less history on this set, it's much more contemporary - the liner notes explain that the disc seeks to capture what you'd hear if you were to visit Brazil. Both of these collections have informative liner notes that introduce each artist and give a little history; both also cite the original recordings from which the tracks are drawn, so when your interest is piqued you can follow up. It would be impossible, in fact, to choose between the two compilations: Save your money and buy both. Daniel Taubkin's "BRAzSIL" is a very modern conceptual piece that blends tradition and avant-garde. True to the Brazilian heritage of emphasizing beauty, no matter how far out he gets, Taubkin's songs are always listenable and melodic. Like American jazz impressario Kip Hanrahan, Taubkin takes poetry and sets it to music on many of the songs here - some of the verse is his, some others'; nearly all is graceful, made more so by the fluid and soft rhythms of the Portuguese language. To be honest, "BRAzSIL" is probably the least representative of the albums here - but it is also the most creative and original; even if you care not a whit for Brazilian music, if you like the experimental you ought to check out Taubkin. 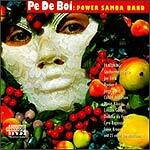 From the club scene of New York comes Pe De Boi, the self-described Power Samba Band. The project of Brazilian percussionist Guilherme Franco, Pe De Boi plays a scintillating dance music every bit as electric as the best Cuban salsa. This is big-band dance music a la Miami Sound Machine: instantly accessible and designed to have you out of the Barcolounger and cutting a rug in front of the stereo. While indentifiably Brazilian in tone and rhythm, Pe De Boi's music also typically Brazilian in the free manner in which the band borrows from every influence around it. So there actually is a pretty fair streak of salsa running through here, along with rock and a dash of jazz. The result? Well, just as salsa is a New York-bred bastardization of Cuban son, so is Pe De Boi a highly Americanized derivative of Brazilian music. But enough of this dissection: Too much of the cerebral activity will do little to further one's enjoyment of this album: Kick off your shoes, pour a rum and coke, and dance your little fanny off. 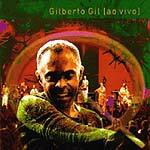 Straight from the heart of Brazil is another fantastically danceable album, the new live set from Gilberto Gil. Gil is like a B.B. King or Stevie Wonder; his days ruling the charts are years behind him, but one of his concerts is still an event. And, like Kingand Wonder, Gil continues to write and record new songs, as well as cover other artists' songs. A singer from the Bahia region of Brazil, Gil was one of Brazil's biggest stars for years, according to "Brazil: A Rough Guide." His music is distinctive and energetic - there's nobody you can really compare him to. His voice is a sweet, strong high tenor, reaching into the upper registers; his band is as tight as any top-flight jazz combo; the songs are funky and melodic and tend to get stuck in your head. And just to break any molds or expectations, Gil tackles two Bob Marley songs in a samba-reggae groove that is so smooth that ... well, you listen to his covers of "Is This Love" and "Stir It Up" and try to describe them. Both just have a feeling of rightness and balance about them. So good is this album that it could easily join anyone's Desert Island Disc Top 10 list. Immediately. In a completely different groove is Paulo Moura's tribute to Brazilian composer Pixinguinha. In terms of cultural stature, it would be comparable to having Wynton Marsalis record a collection of songs by George Gershwin. Like Marsalis, Moura has proved himself virtuosic on clarinet and othe reeds in both European classical and his country's native forms. And Pixinguinha is considered Brazil's greatest composer of all time; he's mentioned in a couple of the releases reviewed here and is acknowledged as an influence on latter Brazilian composers such as Jobim and the Gilberto's. 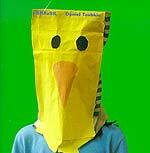 Besides, even if you're convinced that you know nothing of Pixinguinha, you have heard his music before. 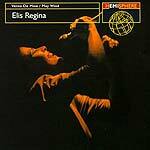 Songs such as "Segura Ele" and "Proezas de Solon" are instantly familiar through repeated listenings in covers by U.S. jazz bands and chamber groups. Which is not surprising in that, as with Gershwin, Pixinguinha's music lends itself to both classical and improvisational readings. Moura's octet is structured like an old-time New Orleans jazz band: clarinet, trombone, guitar, mandolin, ukelele and a ton of percussion. But at times they also sound a lot like a chamber orchestra, or at least like a good klezmer outfit with a headful of rum. Elis Regina was Brazil's greatest popular singer, the undisputed queen of the popular music scene, when she died of a drug and alcohol overdose in 1982. Her enduring popularity can be easily understood after listening to just a few tracks from a resissue of one of her albums, "Vento de Maio." She was possessed of a smooth, supple voice, an instrument of grace and beauty that was coupled to an arresting confidence and ability to completely own a song. She was a master interpreter, getting so far inside a song that listening to her sing it you're convinced she's speaking directly to you. It's an experience akin to listening to Edith Piaf or Frank Sinatra; none of them, Regina included, is simply singing - no, they're telling you a story, a story they've lived. It wouldn't be fair to anyone to try to critique them after getting hooked on Elis Regina, but Lani Hall gives a nice accounting of herself. The album has the kind of easy Latin groove that marks Herb Alpert's own work, and as producer his stamp can be felt here as well (as well as his trumpet on several tracks). The major drawback of this album, though, is that Hall (or Alpert) seems content to stay in the same midtempo rhythm throughout. The song selection is nice, the backing musicians (particularly percussionist Paulinho da Costa, who's been less visible of late) solid; the arrangements just don't vary enough to hold interest over an entire album. If your only exposure to Paul Winter was his 1980s and '90s output, it would be easy to simply pigeonhole him in the New Age bin and forget about him. But it was Winter's late '60s jazz combo that later became the cutting edge art group Oregon, and, it turns out, Winter first visited Brazil in 1962 on a State Department tour. And, on his new album with Brazilian guitarist Oscar Castro-Neves, it (again) turns out that Winter can still play a mean sax. There's nothing too adventuresome here stylistically, but that's okay - getting to listen to two top-flight instrumentalists who obviously feed off each other is more than reward enough. They stick to a fairly tame bossa nova theme throughout, but the feeling they both bring to the music is real and legitimate and, well, fun. As Monty Python might have put it, and now for something completely different: A Brazilian pianist arranges and performs new music by one of the top rock 'n' roll songwriters of all time. 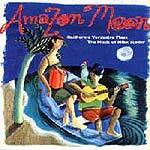 "Amazon Moon" is a collection of new tunes by Mike Stoller - yes, of Leiber-Stoller fame, they of "Hound Dog" and countless other hits by Elvis and others - as played by Guilherme Vergueiro. No rock here - instead Stoller shows a nice touch on the classic Tin Pan Alley style, with Verguiero and his band giving it all a sharp Brazilian twist. Like the earlier giants of American song - Porter, Berlin, Gershwin - Stoller leaves plenty of room for the musicians to stretch and improvise. Nice themes, catchy melodies, tight construction: the essence of good songwriting.